The Ultimate Brentwood TN Guide - People Who Live In Nashville & Brentwood TN Share Their Favorite Things To Do In The Nashville Area. 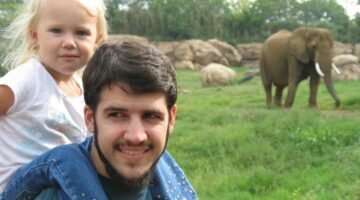 Nashville TN Attractions And Fun Things To Do From Brentwood TN To Nashville TN, Plus Info About Williamson County TN Schools For Parents Thinking Of Moving To Nashville Suburbs - Real people. Real experiences. Real helpful. My home has been invaded with tiny black ants! They’re everywhere in the kitchen — and I can’t get rid of them quickly enough! Here’s the best solution I found for getting rid of house ants without poisoning my kids or pets in the process. It’s called Terro liquid ant bait. The active ingredient is Borax — which is a natural way to get rid of ants. Halloween Events In Williamson County, TN – Trick Or Treating, Fall Festivals, Ghost Tours & More! Details for lots of fun Halloween events taking place in Franklin, Brentwood, and other parts of Williamson County Tennessee. Plus Nashville, too! If you’re looking for unique hotels, there are several in the state of Tennessee. Eight are profiled here, including 4 in Nashville. The next time you’re passing through, or if you live in the area and have guests visiting, don’t overlook these hidden gems. If you’re buying a home OR selling a home in the Nashville area, I thought it might be interesting to look at some of the unique ways that QR codes can be helpful to you. Looking for an outstanding private school near Brentwood, Tennessee? Here are the 10 closest private schools to Brentwood, including Brentwood Academy, Montessori Academy, Currey-Ingram, and Battle Ground Academy. And, closer to Nashville, there’s: Father Ryan, Oak Hill, Ensworth, Christ Presbyterian, and St. Matthew. Details here. Brentwood TN is a great place to live. Just ask anyone who’s actually lived here. More proof: the city of Brentwood ranks high on these lists & awards. The Williamson County Smart Savings Card can save you a lot of money! 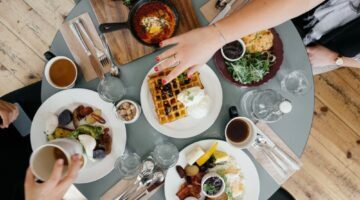 Here we show you over 90 of the amazing discounts that you can get when you use your Smart Card at restaurants, stores, and services in the Brentwood, Franklin, and Cool Springs area in Tennessee! 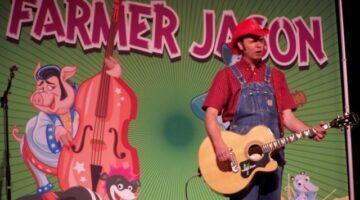 Farmer Jason is a talented local musician who performs songs about animals, farms, and forests for children. Famous for his “Guitar Pickin’ Chicken” and “Punk Rock Skunk”, his shows are lively and fun for kids of all ages. Nicole Kidman and Keith Urban live in the Green Hills part of Nashville. When I checked to see which hospital Nicole Kidman used for the birth of Sunday Rose, I was surprised to see ugly rumors about her mothering. Here’s the real scoop on why the Kidman and Urban family can go all over Nashville and a list of places they like to go.